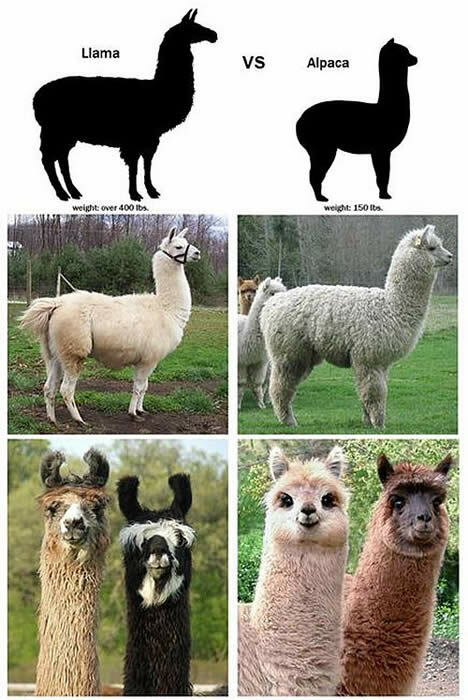 The difference between the Llama and the Alpaca is shown in the photo. Both wools are used in needle felting and Alpaca fleece is made into fabric for teddy bear artists. 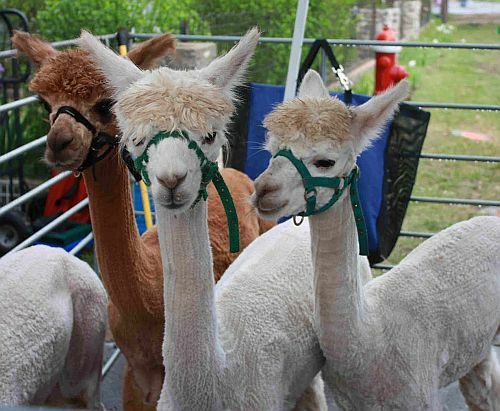 After a shearing, the Alpacas look rather strange, but soon their fur will grow back and they will once again be regal looking! Learn more about each of these wonderful animals.